A few days ago, we received this months Dragon’s Hoard box. This month’s book is The Chimes. The Chimes follows Simon as he travels through a London where music is at the centre of everything and causes people to lose their memories, however, Simon begins to remember his past. Along with the book was a note from the author herself. There was also a bookmark to match the book. 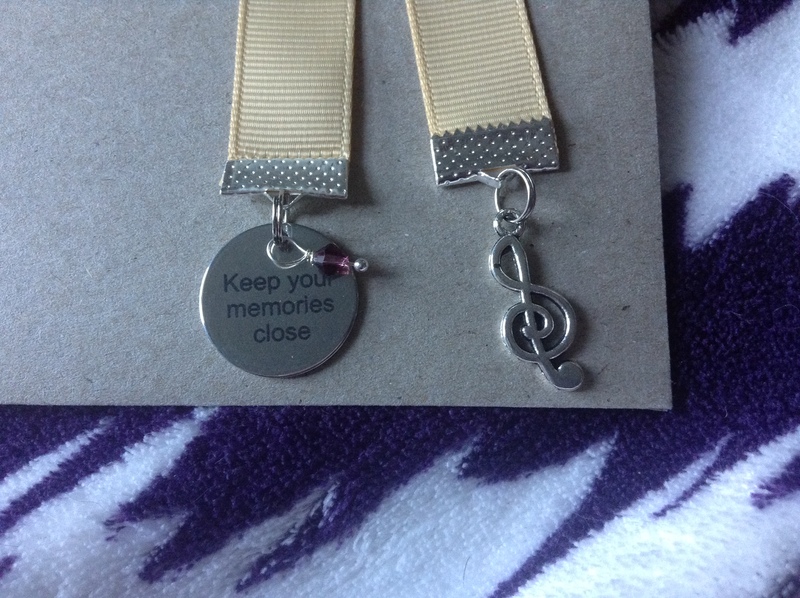 The bookmark has one pendant with a quote from the book, as well as a small Treble (or G) clef medallion. There were also two buttons included, one to match the book and another to celebrate the holiday season. To also celebrate the holiday season was a Christmas card. And finally, we have a Chai Latte candle, for warmth, over our not-so-white-Christmas. Thank you to Dragon’s Hoard, and we hope that everyone has a happy holidays.